20% OFF + Extra $10 Lamps Plus Coupon - Verified 27 mins ago! Lighting is an important but often overlooked area of home improvement. One company renowned for its broad selection of products and affordable pricing is Lamps Plus, who also offer furniture and home decor as well. Thanks to Coupofy you can now lower their prices even further with a Lamps Plus coupon, as our team have gathered all the latest codes right here! Simply scroll through the list and click the link to see the terms and how to redeem it on the website. Whether you want a Lamps Plus free shipping code or lamps plus open box coupon code, you will find them here. Not looking for Lamps Plus deals today? Then don't forget to check out all of our other offers and promotions. We have coupons for all of the leading online stores and service providers across the web, allowing you to make savings every time you shop! Exclusions: Sale items, mark-downs, clearance center items, or with other coupons or discounts. Not valid on the following brands: Access, Anolon, Ambience, Artcraft, Arteriors Home, BergHOFF, Besa, Bluworld, BonJour, Butler, Cake Boss, Capital Lighting, Casablanca, Circulon, Concord, Cooper Classics, Corbett, Craftmade, Crystorama, CSL, Currey and Company, Dale Tiffany, Deco Breeze, Designers Fountain, Dimplex, Emerson, ET2, Eurofase, Fanimation, Farberware, Fine Art Lamps, Flambeau Lighting, George Kovacs, Global Product Resources, Inc., Gold Crest, Golden Lighting, Hinkley Lighting, Holtkoetter, House of Troy, Howard Elliot, Hubbarton Forge, Hudson Valley, Hunter, Jezebel, John Richard, Jonathan Adler, Justice Design, Kenroy Home, Kichler, Kimball & Young, Lite Source, Mario Industries, Mathews Fan Company, Maxim, Mele and Company, Metropolitan, Meyer Corporation, Minka Aire, Minka Lavery, Modern Fan, Monte Carlo, Murray Feiss, Nambe, Nathan Direct, PLC, Progress Lighting, Pure Country Weavers, QualArc, Quoizel, Quorum, Rachael Ray, Reed and Barton, Robert Abbey, Robert Sonneman, Savoy House, Schonbek, Silverstone, Tech Lighting, Thomas Lighting, Thumbprints, Troy, Uttermost, Varaluz, Vaxcel, WAC. Exclusions: Select products excluded, including freight and oversized items. Exclusions: Select products including freight and oversized items. Freight, clearance, Daily Sale, designs with giclee art shades, Color Plus and Tiffany Color Plus brand items, or certain items with designer shades Details: Get Free Standard Shipping on Ceiling Fans, Wall Lamps, Outdoor Lighting, Table Lamps, Floor Lamps and more. Details: Get Free Standard Shipping on Ceiling Fans, Wall Lamps, Outdoor Lighting, Table Lamps, Floor Lamps and more. Details: Reflect your Best! Get up to 50% off Select Mirrors. Details: Elegant Upgrade! Get up to 50% off Select Furniture. Details: Cyber Monday Sale! Get up to 75% Off Design Deals. Details: Spring ForeCast! Get Up to 50% Off Furniture. Many of the items for sale on the site can be purchased at discounted prices by using a Lamps Plus promo code during the online checkout process. We keep an up to date list of these codes right here at Coupofy, so don't forget to browse back before buying anything to ensure you get a great deal! Lamps Plus traces its roots back to 1976 when Dennis Swanson and his designer wife Manja opened their first store. The duo are still at the helm today, overseeing more than 40,000 individual products. Many of these are from existing brands but they also hold several patents for lighting design, including a torchiere floor lamp. The online store has been live since 1998 and is the most successful of its kind on the web. The company was named a 2015 and 2016 Top Housewares Retailer by Internet Retailer Magazine, and is well rated by the Better Business Bureau. "Our American Lighting Association trained experts can help with a full range of services, including store workshops, in-home consultations and lighting installation," notes their about page. 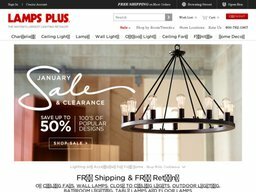 Lamps Plus is the largest lamp and lighting retailer in the United States, offering a comprehensive range of portable lighting, fixture lighting and home decor products. In total there are over 40,000 individual items to choose from, with 70,000 different designs. This includes many well known brands, as well as their own unique in-house products. The prices of many of these can be reduced below their regular retail price, by using a Lamps Plus discount code. The code you choose will depend on various factors, such as what promotions are currently running, the items you plan to buy, and how much you are going to spend. For example one Lamps Plus promo code might require you to spend over a certain amount, while others might require you to buy specific items or brands. Others might work site-wide, such as a lamps plus coupons for $50 off. Categories on the site include Chandeliers, Ceiling Lights, Lamps, Wall Lights, Outdoor Lights, Ceiling Fans, Furniture, and Home Decor. 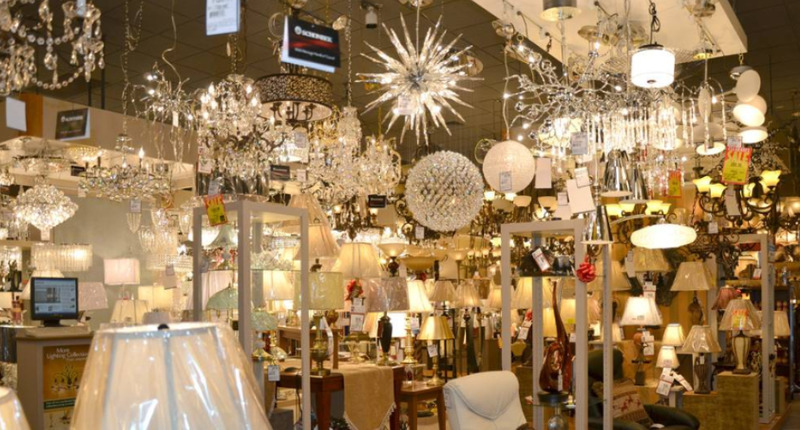 You can also find Mirrors, Wall Sconces, Landscape Lighting, Desk Lamps, Wall Lamps, Fountains, Track Lighting, Lamps Shades, Crystal, and more. Popular Brands available include George Kovacs, Schonbek, Possini Euro Design Collection, Sonneman A Way of Light, Hinkley Lighting, Arteriors home, Robert Abbey Inc., Hubbardton Forge, Vienna Full Spectrum, Hudson Valley, American Lighting, Rite Lite, Kensington Hill, Elk, and hundreds of others. Although they often change, some of the current bestsellers include the Vienna Full Spectrum Chrome and Crystal Grand Chandelier, Possini Euro Design Nickel 16" Wide Ceiling Light Fixture, Possini Euro Design On the Square Accent Table Lamp, Mencino Satin Nickel 3-Light 20" Wide Bath Light, Bellagio 16 1/2" High Downbridge Outdoor Wall Light, 52" Casa Delta-Wing Bronze Outdoor Ceiling Fan, Flynn Heirloom Charcoal Upholstered Armchair, Uttermost Palais Beaded 30" x 40" Silver Wall Mirror, and many others. The site also has dedicated pages for sale items, where you can find many products at much below their retail price. Don't forget you can also use a promo code for Lamps Plus to get even more money off. Lamps Plus also provide lighting installation services in California, Texas, Arizona, Nevada, and Washington. They use experienced and reliable electrical contractors, and you can get a quote by going to the appropriate page on the site. They can handle Ceiling fans, LED and energy efficient lighting, New construction, Existing home upgrades, Kitchen and bath installation, Outdoor and landscape plans, and retail, commercial and industrial installations. All work is guaranteed for 2 years. There is also an advice and tips section for all of you DIYers out there, a Blog full of interesting design related posts, and a Lamps Plus store locator so you can find your closest physical store. Lamps Plus Promo Code: Online coupons are special codes that allow you to claim discounts and other deals on your order. You can only use one Lamps Plus promotion code at a time, and you may need to meet certain terms (minimum spend, purchase certain brands). You can also only use some Lamps Plus coupon in store. Regular Sales: From time to time Lamps Plus will run traditional sales, where you can buy items discounted below their usual price. All you have to do online is add these to your cart to benefit from the savings, and sometimes they can be combined with regular sale items for even deeper discounts! Affiliate Program: If you want to get some money on the side or are an internet marketer by profession, you can join to their affiliate program. This requires you to refer web users via a special link to the site, and if they place an order you earn commission for driving the sale. Free Shipping: You can get your order shipped for free with most items, as long as you spend over $49. You can also sometimes find a Lamps Plus free shipping code to get this offer without a minimum spend. You will still have to pay if you want to use any of the expedited options. New Homeowner Savings: If you are a new homeowner and choose Lamps Plus to do the lighting and home decor, you can get up to $150 off by signing up to their special online offer (link found at the bottom of the page). You will be supplied with a Lamps Plus discount code, which can be used both online and in store. Other ways to find Lamps Plus deals include following then on social media, where they will occasionally share a Lamps Plus promotion code or other offer. They have accounts on Pinterest, Instagram, Facebook, Twitter, Houzz, Google Plus, and Youtube. You can also sign up to their email newsletter, which will periodically include offers and sale alerts. If you have a valid promo code for Lamps Plus and wish to make an online order, it will only take a couple of minutes. The store utilizes a typical cart and checkout platform, so it will be familiar if you have bought things online in the past. Furthermore, all stock is arranged in to categories based on so it's easy find what you're looking for. There is also a search bar at the top of the page if you have some keywords in mind. Before going ahead it's a good idea to register an account. You will need to do this to checkout anyway and it will allow you to view your order history and tracking, and other important site features. This will take moments and simply needs your email address, a username, and eventually your shipping & billing address, and payment information at checkout. Once you are in a category or on a search results page you can refine the product listing by several filters. This includes Price, Color, Brand, Size and other relevant options, depending on the type of product. On the product page you will find a photo, detailed description, technical specs, any customer reviews and ratings, shipping details, and ordering options like quantity and color. If happy with the item hit "Add To Cart." You can go to your cart by clicking the icon at the top right of the page. Here you will see a special promo box where you can enter any coupon for Lamps Plus to redeem its corresponding offer. Simply paste or type in the code, and your order will automatically update according to the terms. Note, you are only permitted to use one coupon for Lamps Plus per order. The next step is to make secure online payment. After you have applied your Lamps Plus discount code, you will be taken to the online payment page to complete your order. The store supports most common credit cards, such as American Express, Visa, MasterCard, and Discover. The transaction is carried out directly on the site through a secure and encrypted payment gateway, which also includes card issuer security steps like Mastercard Secure Code and Verified by Visa. If you do not have a credit card or do not wish to pay online, you can phone customer support and arrange payment with a check, purchase order or money order. While you cannot choose the courier used to ship your order, the most convenient option will be used out of FedEx, UPS, United States Postal Service (USPS), and Fed Ex SmartPost. Most orders are dispatched within 3 working days and standard shipping can take up to another 7 days within the 48 contiguous states. Many orders will qualify for free shipping (as long as you spend over $49) and you can sometimes use a lamps plus free shipping code to ensure this. If not, the charge is based on the item size, weight, delivery destination, and some other factors, starting at $5. The exact cost will be calculated before you reach the payment step. You can also pay extra for Next Day, 2nd Day, 3rd Day, and Express options. Furthermore certain oversized items will be delivered by freight. There are several other special delivery methods for larger and unique products. This will be fully explained on the product page. Lamps Plus cater to all US states, FPO and APO addresses, Canada, and international orders. The latter requires a minimum purchase value of $200. You must also contact customer support to arrange delivery. When you have placed your order you will get email confirmation. You will also be updated when your order has been dispatched, along with any relevant tracking information. If you are not happy with a Lamps Plus order for any reason, you have 60 days from the delivery date to return it for a refund. This applies to both unwanted items and items that arrived damaged or defective. Unwanted items must be in their original condition, with all of the packaging to be accepted. To initiate the return process you must contact customer support and obtain a Return Merchandise Authorization number. Return shipping is free within the continental United States. You can also return your order to a local Lamps Plus store, where you will be asked to present ID and the card used to make the purchase. Obviously if you have used a Lamps Plus promotion code to get a discount, this portions isn't included in any refund.